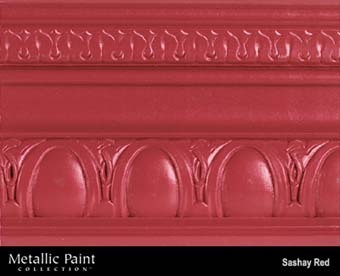 Modern Masters Inc.® is the leader in the Decorative Painting, Faux Finishing and Theme/Entertainment markets. By offering new and innovative products, we are recognized as the number 1 supplier of high-end decorative and specialty water base paint products in the world. Our brands include Metallic Paint Collection™ -water base, non-tarnishing metallic paints, Metal Effects® - metallic paints and oxidation/patina system, ShimmerStone®- tintable architectural coating with a shimmering effect, Venetian Plaster – synthetic, tintable, high polish plaster system, SkimStone® hybridized cement floor finish, Wildfire® - water base, fluorescent, visible and invisible black light paints, Theme Paint™– interior/exterior, low-VOC, color retentive theming paints, Decorative Painter’s Products – water base glazes, crackles, varnishes and specialty brushes and Texture Effects® - a multi-purpose, tintable, self sealing texturing medium. With ultraviolet technologies created by Wildfire Luminescent Paint, you can create unique and creative special effects for any application. Since1989, Industry professionals have relied on Wildfire products to create dramatic blacklight visual effects for film and television.